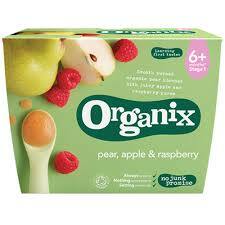 I’ve carried out an environmental review of Organix Baby Food. Based in Bournemouth, Organix was a pioneer in the organic baby food market and is one of the market leaders with their ‘No Junk Promise’. With a good reputation on the nutritional and health benefits of their products they’ve asked me to help get up to speed on the environmental front. This entry was posted in Babycare, Business, Food & drink, News 2010 and tagged Baby, Food.